Good career guidance is critical if young people are to raise their aspirations and capitalise on the opportunities available to them. 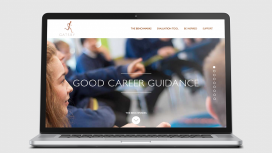 In 2013 we commissioned Sir John Holman to research what pragmatic actions could improve career guidance in England and subsequently he developed the Good Career Guidance Benchmarks. 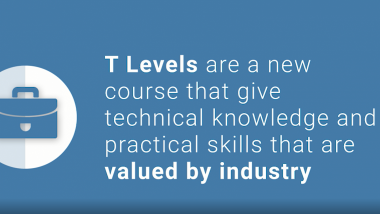 Technicians are the linchpins of the UK economy. They are skilled people who use their science, engineering or technology knowledge to identify and solve practical problems. They are the electricians and plumbers that we all rely on, but they are also crucial to the success of many of our country’s future-growth areas, including the aerospace, chemical, digital, engineering and manufacturing industries. Once in secondary education, exposure to effective science and maths teaching delivered by teachers that are knowledgeable and passionate about their subject can be transformative. That is why we care about the supply and training of specialist teachers in these subjects. Good career guidance has never been more important. Changes in technology and in the labour market mean that increasing numbers of jobs require specific education and training, yet career guidance in English schools has often been criticised for being inadequate and patchy. Reform to technical education is a key priority for Gatsby and its success is predicated on a fundamental shift in the public’s perception of and attitude towards technician jobs. Therefore, we undertake work to raise the profile of technicians and promote greater recognition of the importance of their contributions to modern society. Implementing the Gatsby Career benchmarks? Our latest report, looking at how industry placements are structured and implemented in several international technical education systems, was published today (25 February).